NATO Chief: West Responding to Putin's ‘More Assertive Russia’ - Integration Through Media ....! 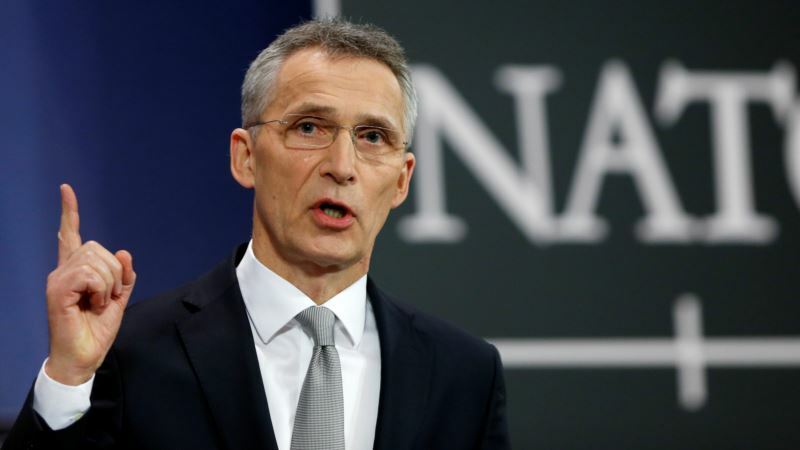 (VOA): President Vladimir Putin’s announcement of new nuclear weapons is part of a resurgent Russian assertiveness that the West is already responding to, NATO Secretary General Jens Stoltenberg said on Monday, adding that he hoped to avoid an arms race. Putin unveiled an array of new nuclear weapons — that he said were either ready or in development — last Thursday, saying they could hit almost any point in the world and not be intercepted. Putin's speech, weeks before an election he is expected to win, was in line with a pattern of behavior whereby Russia has developed new weapons and used military force on neighboring Ukraine, Stoltenberg said. “This pattern which we have seen over some years is part of why NATO now is adapting and implementing the strongest reinforcement to our collective defense since the Cold War,” he said. Stoltenberg renewed his call for Russia to abide by the Intermediate-Range Nuclear Forces (INF) Treaty that the United States said Putin had breached by his announcement last week. Stoltenberg visited a NATO training facility in Iraq and met Prime Minister Haider al-Abadi, weeks after NATO defense ministers agreed on a bigger “train-and-advise” mission in a country where it has been part of the coalition fighting Islamic State. “All 29 allies want NATO to play a bigger role in fighting terrorism, because terrorism affects all of us. It’s been a clear message from the Trump administration but also from the other allies,” Stoltenberg said. As combat operations wind down after three years of war against Islamic State, the NATO mission that is due to start in July will focus on bomb disposal, military medicine and reforming the security institutions, including fighting corruption. Stoltenberg said he discussed the Iraqi parliament's demand that the government set a deadline for the withdrawal of foreign troops. “We are here based on a request from Abadi,” he said.